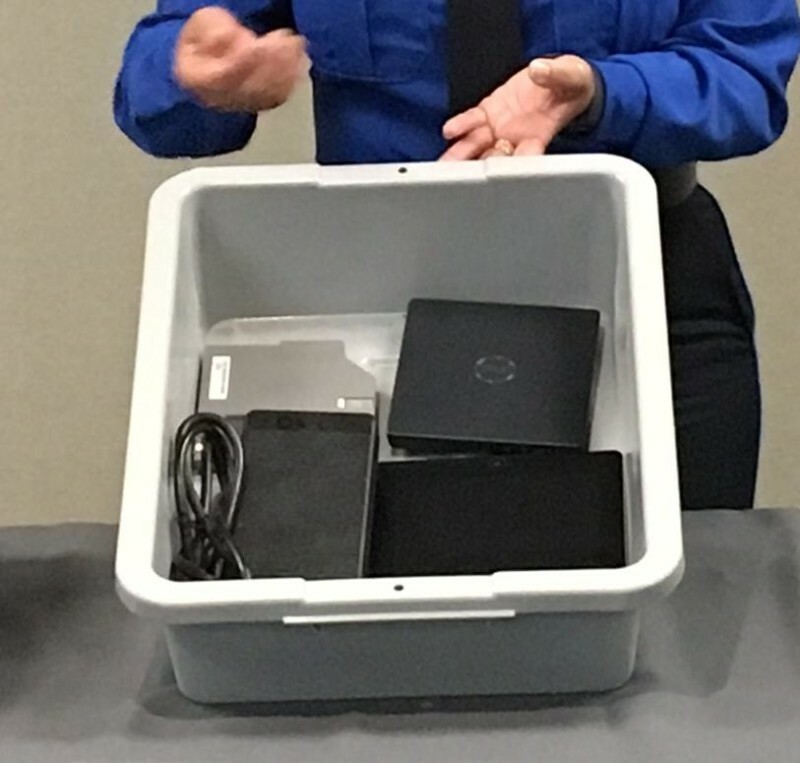 New security screening procedures for carry-on battery-powered electronics are now being used at Tucson International Airport. 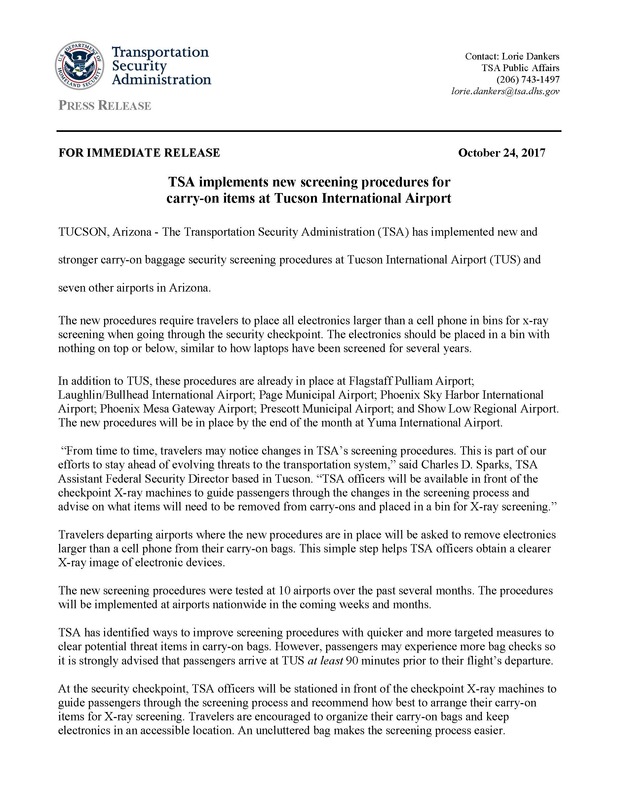 The Transportation Security Administration (TSA) held a news conference at the airport to announce that TUS is the latest airport get the new procedures, which are either already in place or will be soon at all Arizona airports. The new procedures do not apply when Pre-Check screening is operational.